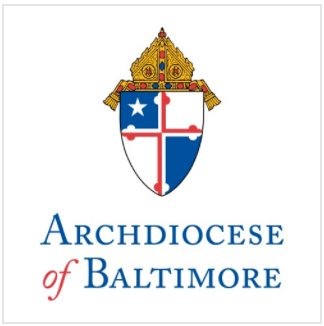 Archbishop Edwin F. O’Brien, Archbishop of Baltimore, announced today that St. Ambrose Catholic School in Park Heights will become the first school in Maryland to adopt elements of the New American Academy (NAA) instructional model. The NAA, developed by Mr. Shimon Waronker as a doctoral student at the Harvard Graduate School of Education, is an educational model that utilizes team teaching, differentiated instruction and hands-on learning to address the specific needs of students and apply learning to “real world” systems. Harvard Graduate School of Education faculty members have been advising the New American Academy in developing and implementing the new training for teachers. “It is exciting that the Archdiocese of Baltimore is spearheading innovation by taking elements of the New American model that include team teaching, 360 degree evaluations wherein teachers are evaluated by students and parents alike, and even looping — teachers will stay with the same students for a period of years to ensure strong relationships between teachers, students and parents — a recipe for success,” Mr. Waronker said. The naming of the first New American Academy school in the Archdiocese marks the third designation of an enhanced academic program since the Archbishop’s March 4 announcement about investment in academic initiatives. The program is one of a number of academic enhancements the Archdiocese is making to ensure that Catholic schools in the Archdiocese remain competitive. Future announcements regarding the designation of schools to host Science, Technology, Engineering and Math (STEM), and Montessori programs are expected soon. Team teaching: Pairing a senior or “master” teacher with a junior or “associate” teacher inside a classroom allows collaboration, mentoring, and leverage for the instructors. Differentiated Instruction: Team teaching also allows instructors to break off groups of students as needed to address enrichment work necessary for students above and below grade level. Looping with the students: At the end of the academic year, teachers will move with the students as they progress to the next grade level. This allows continuity of critical relationships and heightened appreciation of the specific skills of each student as they develop academically. Hands-on learning; student collaboration: Curriculum will be geared toward collaborative projects that are “hands-on” with the intent of building social skills, leveraging the unique contributions of each student, and applying learning to “real world” systems. The New American Academy model has been targeted by the New York City Public School System and will be implemented in one Brooklyn elementary school this fall. “Sharing of best practice between the Archdiocese of Baltimore and the New York City Public School shows a bond that we share: ensure that our children have the best possible opportunities,” Mr. Waronker added. St. Ambrose Catholic School is located at 4506 Park Heights Ave. in Baltimore. Tuition at St. Ambrose is $4,700/year.